Click the picture to see more of the Zenith x390W Radio. Today I found a new toy. Whenever the opportunity comes my way, I like to collect old radios. Here is another one for my collection. The radio is a Zenith Long Distance Radio, model X390W. I think the “W” stands for “wood”, as there is also a X390 model that looks like it has a plastic case. This radio WORKS! And it “glows in the dark” like all good radios do. The radio seems to be in pretty good shape except for a label on the bottom of the wood case. It looks like it was scrubbed partially away. 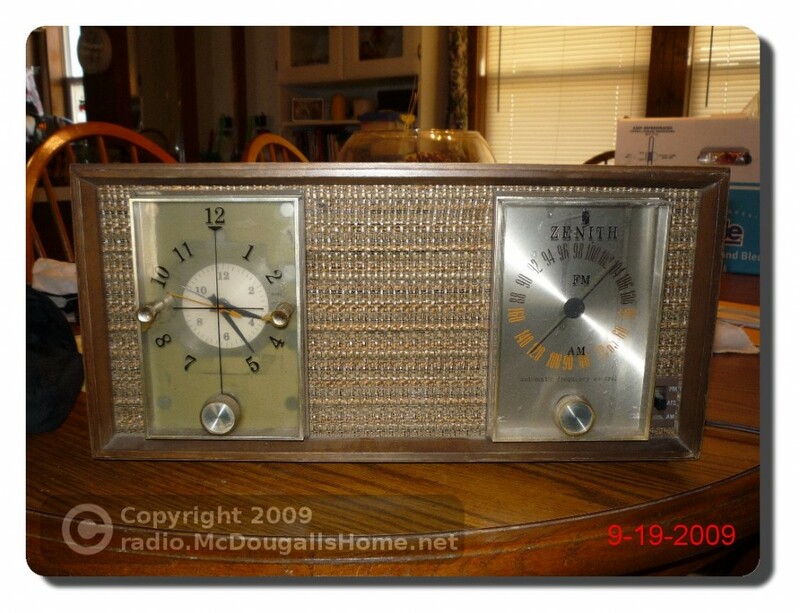 The Zenith X390W is and AM and FM radio that has a nice clock, and alarm function. Click on the picture to see more.